Show us a competitor’s written quote and we’ll beat it. Here at Home Re-Nu, we believe that improving the roofing industry begins with offering only the best customer service, products, craftsmanship and warranties. This may not be the cheapest option, but we are eager to gain business by matching a price. If we are talking “apples to apples”, we will match or beat any written quote on residential shingle projects from other licensed contractors who are an accredited BBB member prior to the proposal. It must be comparable in terms of more than just shingles used, but also GAF products, warranty, installation, etc. We will not sacrifice quality to save money or gain your business. Unlike other companies, we will not cut corners or use low quality materials to lower prices. With Home Re-Nu, you will have a roof that will last years. When comparing companies, it is good to look at how they stand behind their work. Many places will offer “tail light warranties”, as in, once you can’t see the tail lights of their truck, your warranty is up. Home Re-Nu will add value to the price match by giving a complimentary lifetime warranty. That means you get a 50 year non-prorated, 130 mph wind warranty and a 10 year algae warranty on your shingles. On top of this, you can be sure you got the best experience from start to finish all thanks to our highly-trained staff. Did you know we are one of the only US companies that put a project manager on each site? That means there is always a person at the job making sure everything goes as planned and to answer any questions you might have. Home Re-Nu NEVER sacrifices quality in order to win a bid! We don’t do the Price Matching to win business by lowering quality. This is not a marketing scheme that will offer to pay you $100 if we’re not the lowest bid. It is our pledge that we offer you a premium product and services at a competitive rate. We believe no roof should be skimped on if it means less integrity or longevity. We will be more than happy to go over the competitions quote to see how they are cutting corners and give you advice. Good customer service starts with knowledge and education. Ridge cap: Some companies cut corners by using 3-tab shingles on an architectural shingle roof, which voids the manufacturer’s lifetime warranty. Ice shield: No ice shields in the valleys, around penetrations and on all roof to wall areas can lead to water leaking through the roof deck, causing a huge mess inside your property. Ventilation: Many roofers ignore proper ventilation. Doing this can cause a huge lack of defense. Felt: Synthetic felt products, like Felt Buster, need to be installed with cap nails. This keeps moisture off the deck of the room. Some roofers will use other materials. Sealant- Not every roofer will reseal or use the right sealant for the job, causing leaks around vents, flashing and skylights. 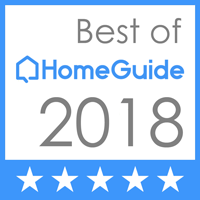 Warranties: Since we are a GAF Master Elite Contractor, Home Re-Nu can provide a fantastic manufacturer warranty from the #1 shingle maker in America. Take advantage of GAF warranties which are safer than a warranty from a roofing company, which could easily go out of business. Most roofing companies can’t stay in business more than 5 years. When looking at price matching, there are many things to look for. Two scenarios are under cutters with no proof of license, general liability insurance or workman’s comp. insurance. No proof of license, general liability insurance, or workman’s comp. Insurance. No items other than shingles and labor are listed. Labor costs should be the biggest difference. Material priced much lower will have generic product brands that should be avoided. Not knowing the exact product name is a dead giveaway. This shows that they either use generic brands, or do not have the knowledge to do the job properly. Keep in mind, the bitterness of poor quality or work lasts longer than the sweetness or getting a low price. Giving a warranty of over 5 years for leaks and labor. By the you may need to use this warranty, they may no longer be in business. What you want instead is a realistic number such as 5-year coverage of workmanship backed by a 30-year warranty through the manufacturer. Cash offers- If a company offers to pay for the insurance deductible or mentions cash back, they should be avoided. These should not be part of a written quote. Disclaimers: Phrases like, “Some exclusions apply,” “See dealer for complete details,” “Offer cannot be combined with any other discounts or coupons,” are red lights that should be avoided. Note: Even a Big Talker may try to pull Low Baller shortcuts to drop a price but offering complimentary lifetime warranties.